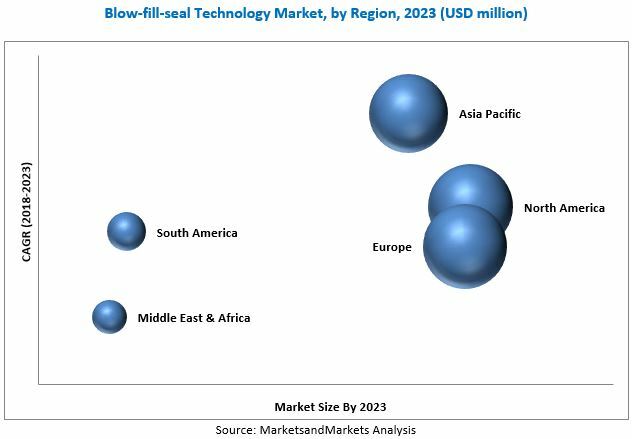 [139 Pages Report] The global blow-fill-seal technology market was valued at USD 278.1 million in 2017, and is projected to reach USD 386.0 million by 2023, at a CAGR of 5.71%. The base year considered for the study is 2017, with the market size projected from 2018 to 2023. 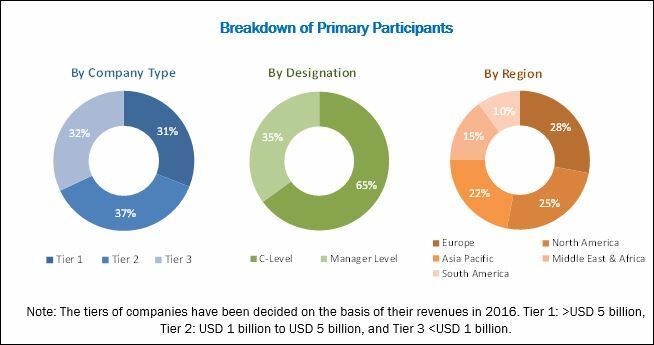 The primary objective of the study is to define, segment, and project the blow-fill-seal technology market size on the basis of material, product, end-use industry, and region. The study also aims at strategically analyzing micromarkets with respect to individual growth trends, future prospects, and their contribution to the total market. It also provides detailed information about the main factors influencing the growth of the market (drivers, opportunities, and industry-specific challenges). In addition to this, the study analyzes competitive developments such as acquisitions, agreements, and expansions in the blow-fill-seal technology market. The research methodology used to estimate and forecast the market size included the top-down approach. The total market size for blow-fill-seal technology was calculated, and accordingly, percentages were allotted to different sectors in each of the segments, which were based on extensive primary interviews and secondary research, such as the Blow-Fill-Seal International Operators Association (BFS IOA), Blow-fill-seal Technology World, Blow-fill-seal Technology Magazine, and the Packaging World. Primary research involved in this report includes extensive interviews with key people, such as CEOs, VPs, directors, and executives. After arriving at the overall market size, the total market was split into several segments and subsegments. Data triangulation and market breakdown procedures were employed to complete the overall market engineering process and arrive at the exact statistics for all segments and subsegments. The breakdown of profiles of primary respondents is depicted in the figure below. The market ecosystem involves various stakeholders in the blow-fill-seal technology market. It starts with manufacturing companies, such as Catalent (US), Recipharm (Sweden), Unither Pharmaceuticals (France), Pharmapack (Japan), Unipharma (US), Curida (Norway), Weiler Engineering (US), The Ritedose Corporation (US), and Unicep Packaging (US). The next level in the chain involves assembly which is monitored by manufacturers, such as Lyondellbasell (US), Gerresheimer (Germany), BioConnection (Netherlands), NuPharm Group (Germany), Salvat (Spain), PrimaPharma (US), Asept Pak (US), Plastikon (US), Birgi Mefar Group (Turkey), and UNOLAB (Spain). This is followed by the marketing and sales of finished products, which is only possible if efficient distribution channels are developed. Finally, the end products are distributed to the consumers. This research report categorizes the blow-fill-seal technology market based on material, product, end-use industry, and region.